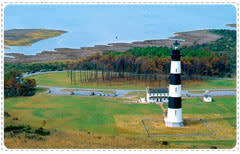 OBX MARKS THE SPOT...FOR MANY FIRSTS. Accompanied by sunsets blazing with color, those who come to our coast in the summer experience many firsts. You'll lean back in your chair, curl your toes in the soft sand, and sip sweet lemonade as swimmers make their first dash into the ocean. You'll hear kids giggle at the sideways dance of crabs during their first crabbing experience. And you might even climb to the top of the first lighthouse you see. 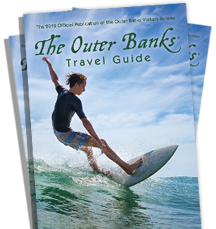 No matter what you do on The Outer Banks, there is a first for everyone during our summer months. So make your way to our coast, and experience a first you'll remember for a lifetime.